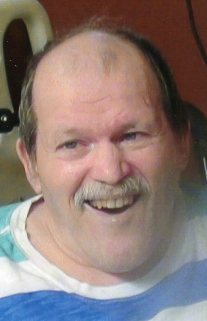 Earl Leroy Gibson, Jr., 66, of Fremont, OH passed away peacefully on Monday, August 7, 2017 at Parkview Care Center. He was born on November 13, 1950 in Fremont, the son of Earl L., Sr. and Kathryn (Nowak) Gibson. Earl enjoyed watching TV Land and baseball and basketball games. The family would like to thank I.S.S. (Innovated Support Services); everyone who took care of him; Jason at Ohio Living Home Health and Hospice and Parkview Care Center. Earl is survived by his siblings, Susan (Leroy) Miller, Lindsey, OH and George Gibson, Fremont, OH; one aunt and two uncles; many nieces and nephews. He was preceded in death by his parents; brother Raymond Gibson and sisters, Mary Swanitz, Gladys Jones and Helen McKeen. Visitation: Thursday from 1 – 3 pm at Wonderly Horvath Hanes Funeral Home and Crematory, 425 E. State St., Fremont, OH. Service: Friday, August 11, 2017, 2:00 pm at the funeral home with Pastor Dan Vickey officiating. Memorials can be made to School of Hope, 1101 Castalia St, Fremont, OH 43420. Offer Condolences for the family of Earl Leroy Gibson, Jr.
Family please except my deepest condolences. May God’s promises found at Acts 24:15 and Psalms 37:29 bring you comfort during this difficult time.